Almost sounds like a tongue-twister, huh? This particular shot drew me because the lights from the overhang on the York County Chamber light up the sidewalk even when it’s still dark outside. If you’ve been watching my photography over the last year, you know that I have been concentrating on street lights. I like the glow provided in an immediate area when everything else is dark. It is almost like a natural vignetting. So, here is a shot this morning with my Leica Monochrom and the Summilux 50mm. I did have to raise the shadow tones some or I would have overexposed the sidewalk and lost detail. This is the result of an ISO 3200 exposure. 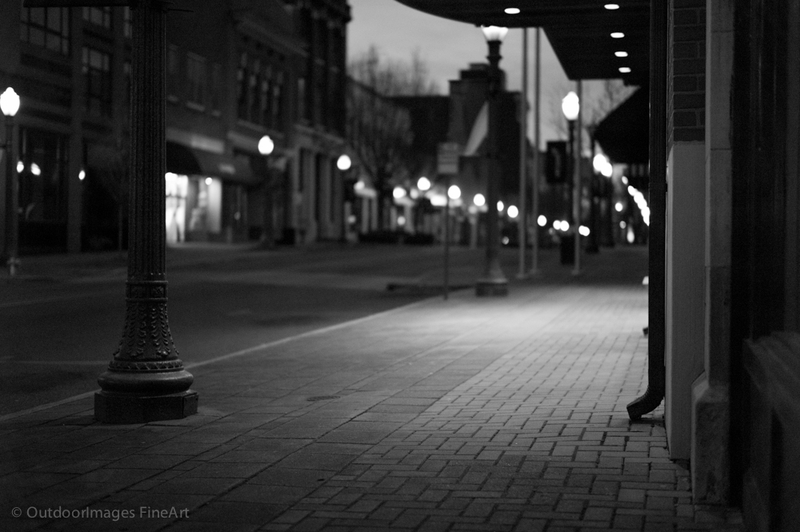 Morning on Main Street with the Monochrom and Summilux 50mm.